This hat is based on the Who? 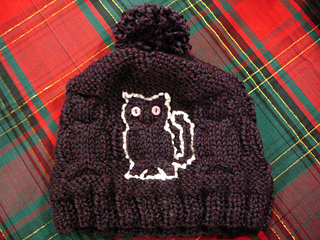 Cabled Owl Hat and other owl-cable projects that are currently making their way around the interwebs. 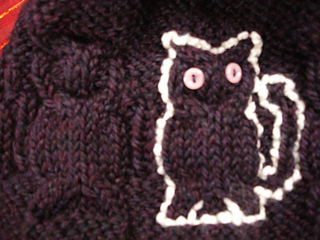 I had a brainwave that I could switch the direction of the bottom cables, and add a tail, and turn that owl into a cat. 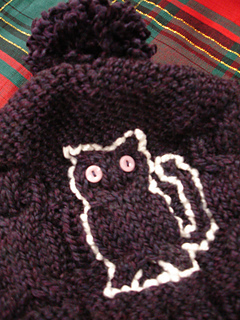 Makes a large, slouchy toque, with a pom-pom on top. 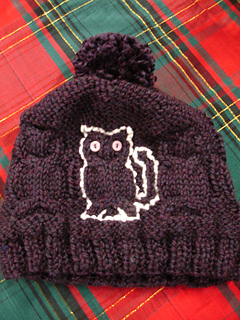 Also includes instructions for modifying the pattern to make a smaller, fitted hat.